Sometimes the best way to build a building is using traditional techniques. By this we mean using blocks and bricks. This method of construction is perfect for smaller builds where large clear spans are not necessary. 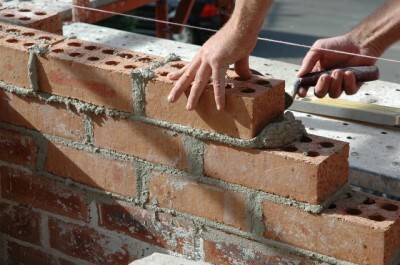 Masonry construction is a tried and tested method, with numerous specialist tradesmen and readily available materials. Bricks and mortar are also 100% recyclable. Sometimes site safety can be a concern, no matter how many measures you put in place, arson is always a risk with timber framed buildings. If the scale of your building does not call for a steel frame, and timber frame is too risky an option, masonry construction may be the answer. The down side is that construction is labour intensive and vulnerable to delays due to bad weather.